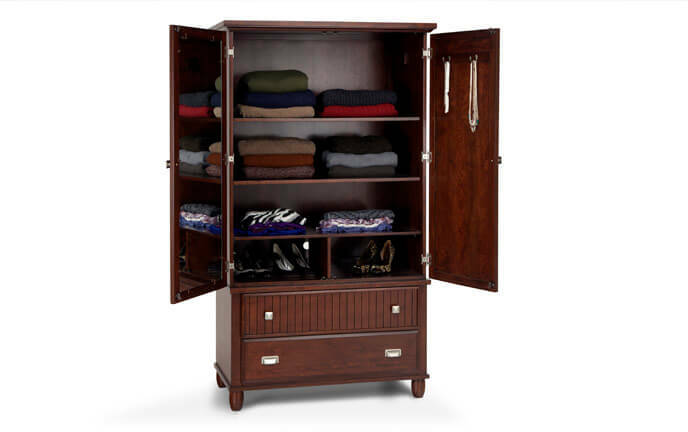 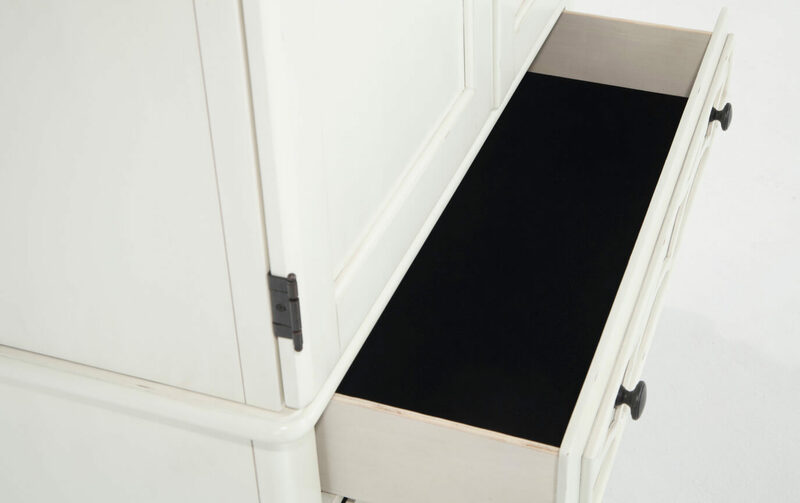 Loaded with style and functionality, my Mystic Bay Wardrobe is storage-savvy with a classic twist! 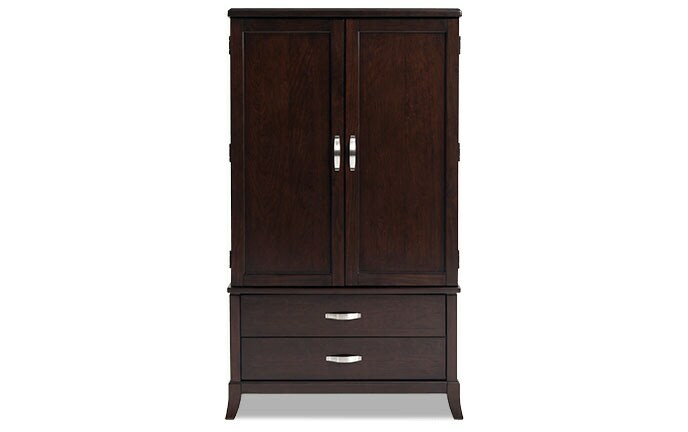 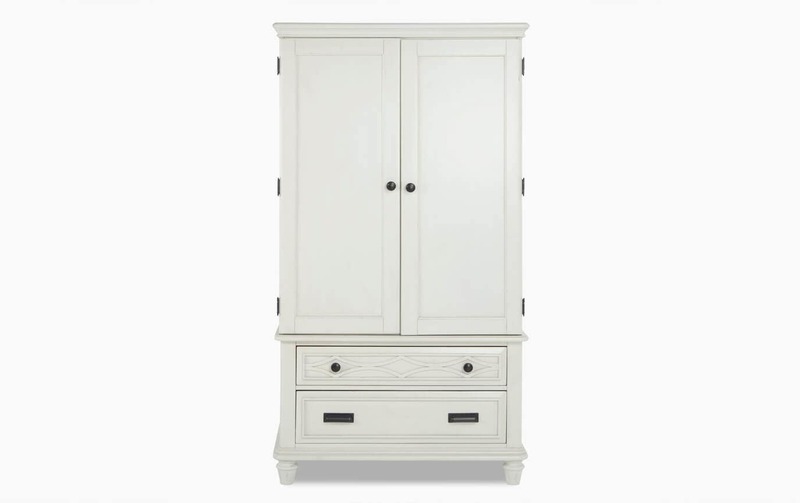 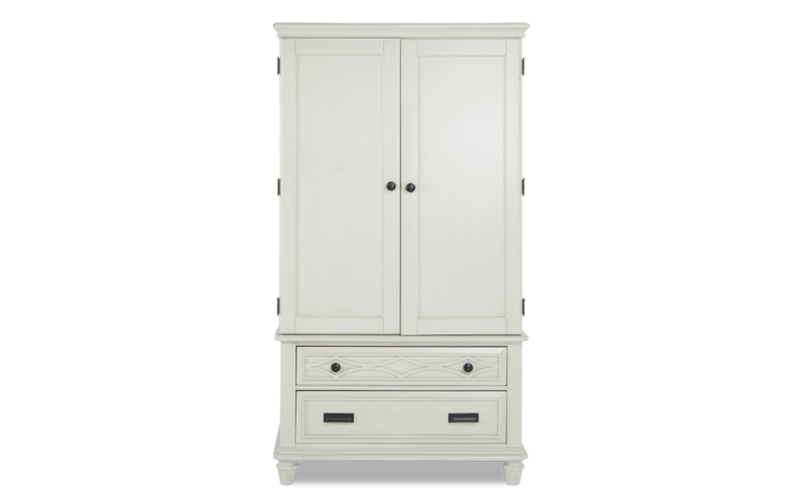 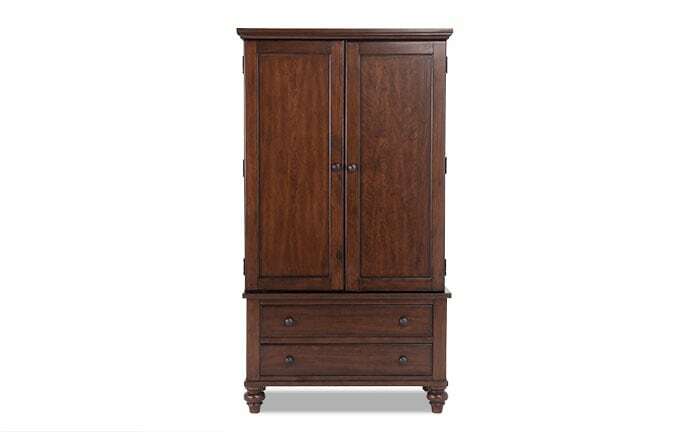 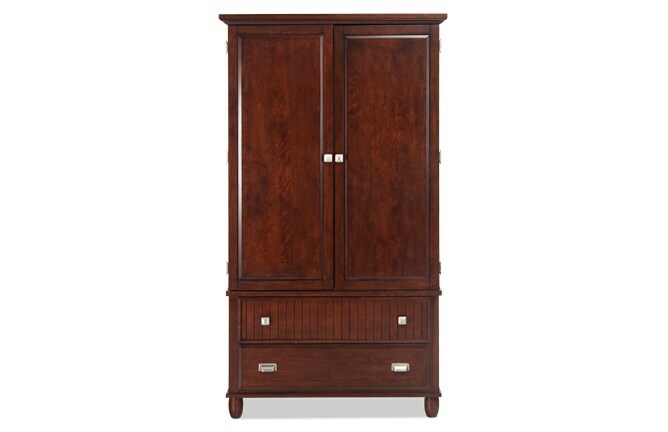 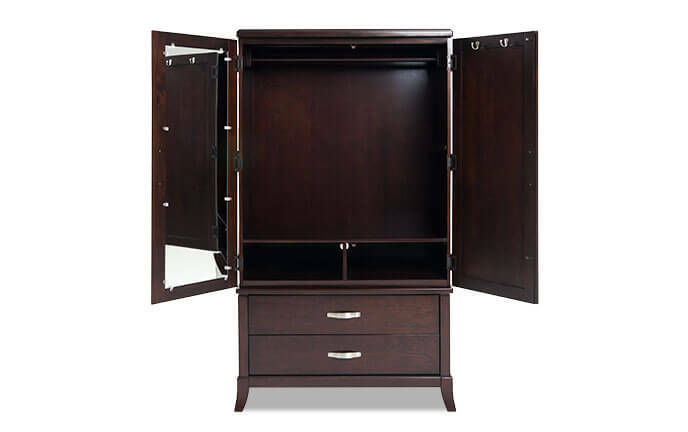 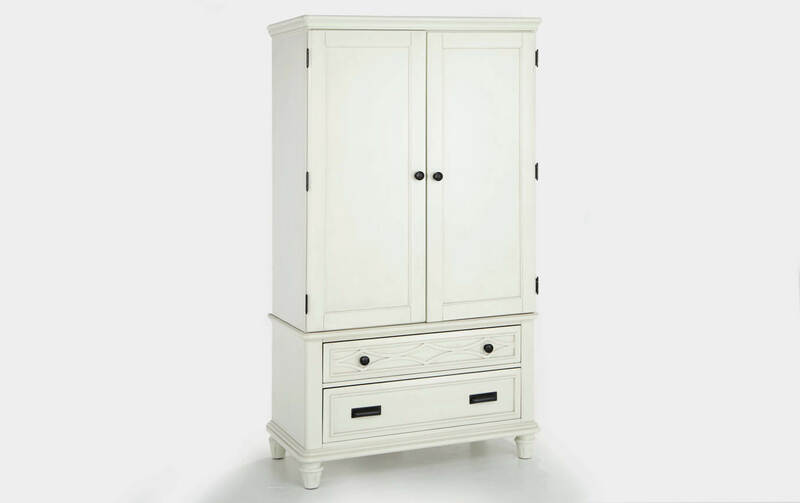 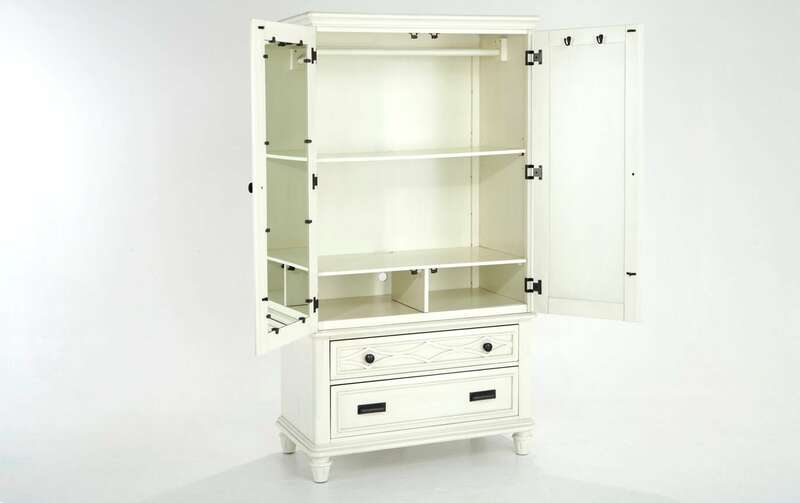 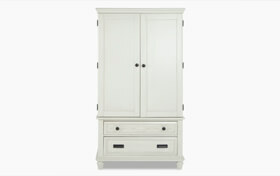 This stunning armoire includes two lower storage drawers as well as upper storage for hanging or folded items. 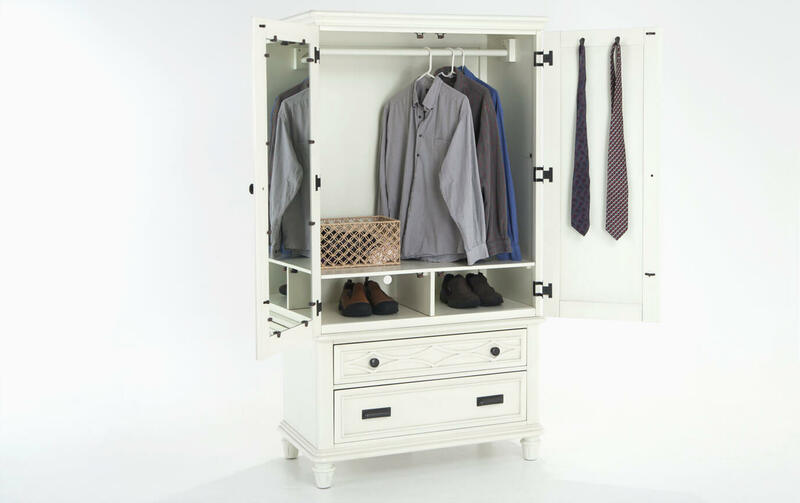 The stylish pewter hardware completes the classic look!